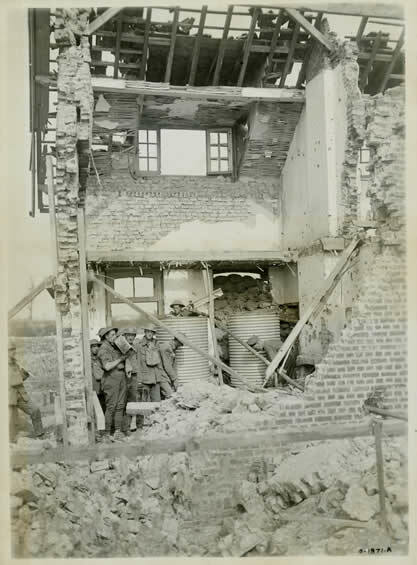 Canadian soldiers used this ruined house west of Lens to shelter their water tanks. From here, water would be carried forward to soldiers in the trenches. This photo was taken in September 1917, about a month after the battle.